Application Fee: Fee charged by broker to offset fixed costs related to mortgage loan processing such as appraisal, credit report, and underwriting. Origination Fee: is generally computed at 1% of the mortgage amount. Pre-paids: Adjustment to escrow accounts from the date of closing to the date of the first payment. Interest is paid through the end of the month of closing, taxes are paid through the end of the month of closing plus the following month, and as long as six months. Two months of PMI (Principle Mortgage and Interest) are collected. Two months of homeowner’s insurance may be collected. A homeowner’s insurance policy must be provided along with a receipt showing that the first year’s premium is paid. Processing Fee: Fees charged by the loan processor or underwriter, either working for the broker company or lender, for administrative services performed from the point of contract through closing. 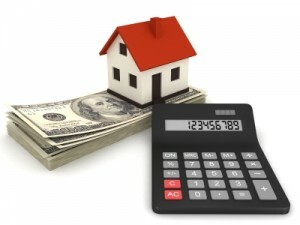 Underwriting Fee: Fee charged by lender to review, process, and approve your loan, practices vary from lender to lender.